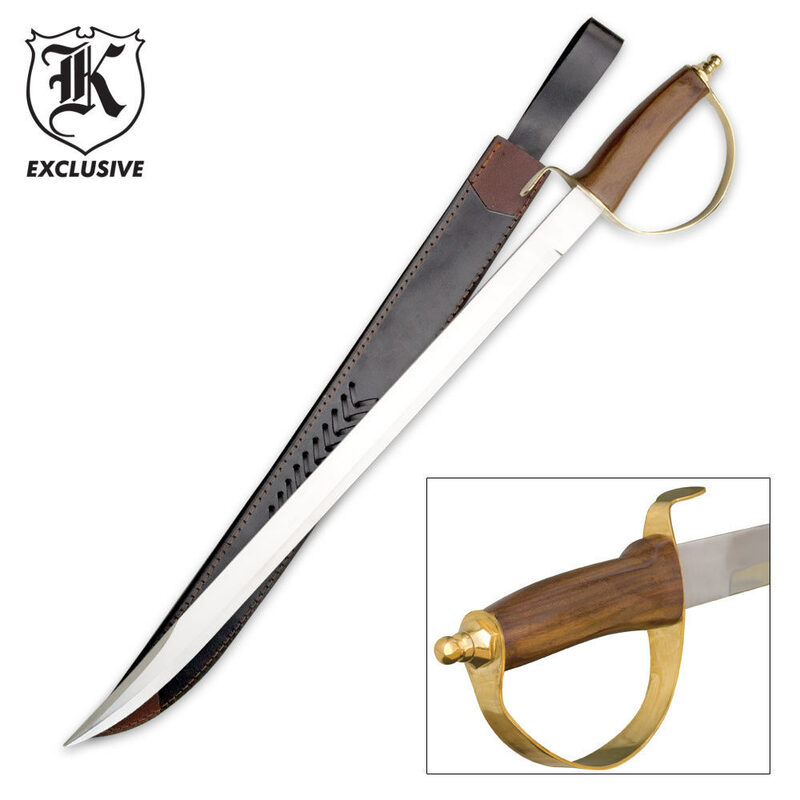 This classic saber features a 21 7/8" stainless steel blade and hardwood handle with brass guard and pommel. Includes top quality leather sheath. 27 1/4" overall. I was so excited when this sword arrived, its impressive style and looks was more than I expected, for a costume , would be top drawer! But I had it hanging on my elk hooves for display and accidentally bumped it and the sword fell to the floor about 4 feet on a carpeted wood floor and the handle( which is not wrapped in leather but some kind of faux thread! over plastic and it shattered, I would be ecstatic if BudK would give me a replacement, I have not asked until now! Please send me another one! This is an amazing piece. First one that I bought on my own, and could not be happier with my purchase. I've had it for nearly two years now, and it is by far my favorite sword up to date. Not sharp at all so it would be great for reenactments and costumes. But clearly this is not functional in an means. Kind of cheaply made but not a bad buy. It's okay for the money. This one did not pass the muster for me. Looks and feels cheaply made. Has no edge to it, and does not fit the scabbard properly. I would not recommend this one. The blade has amazing quality with great balance, the handle and blade is properly constructed, a must buy! Very nice sword. It's not sharp (seems like a lot of people are complaining about that) but I don't want it sharp. I have several Kennesaw swords and shields that I use in my high school history classroom as teaching aids. Students (boys and girls) love to come up to the front of the room and handle this cavalry sword, a Spartan one, medieval one with shield, etc. It's like touching history for them. Great price, great visual aide. No way I could afford authentic swords. Thanks Kennesaw. You make me look good! Over all I like it. 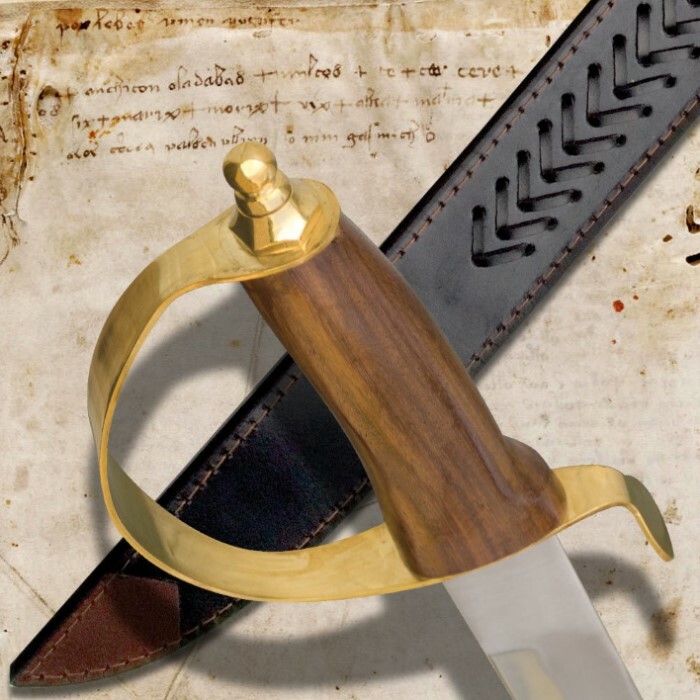 That leather scabbard is not as bad as your read here. This is a nice Saber Sword but tang is week. That tang is really a sad part of this Saber Sword. I REALLY DO LIKE IT!!! Got it on sale with free shipping!